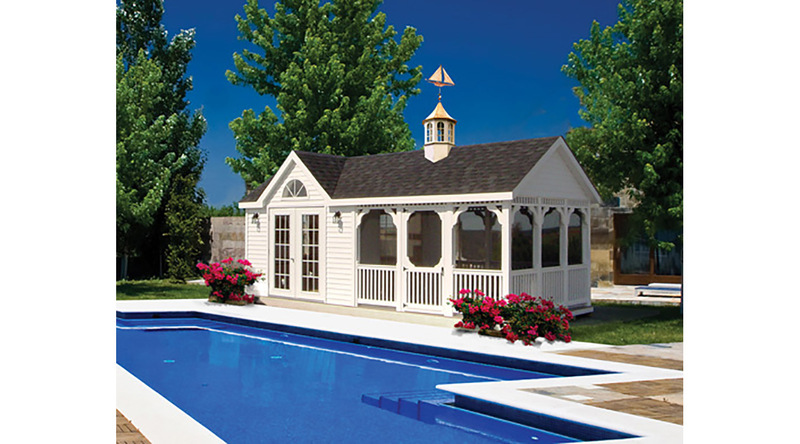 Our vinyl pool houses combine the beauty of a gazebo, the storage capacity of a shed, and the convenience of a cabana. Keep wet feet and dripping swim suits out of the house. A pool house is a good spot to store pool toys, bathing suits, and pool equipment, as well as a place to change in and out of swim gear. In the gazebo section, entertaining has never been easier with a convenient place to set out drinks, snacks, and refreshments. Storage inside the pool house will allow you to keep your favorites and extra treats on hand.